An illicit discharge is anything added to the storm water system other than water from rains/ storms. Pouring contaminants into storm drains not only threatens our waterways, drinking water, and wildlife. It's illegal. 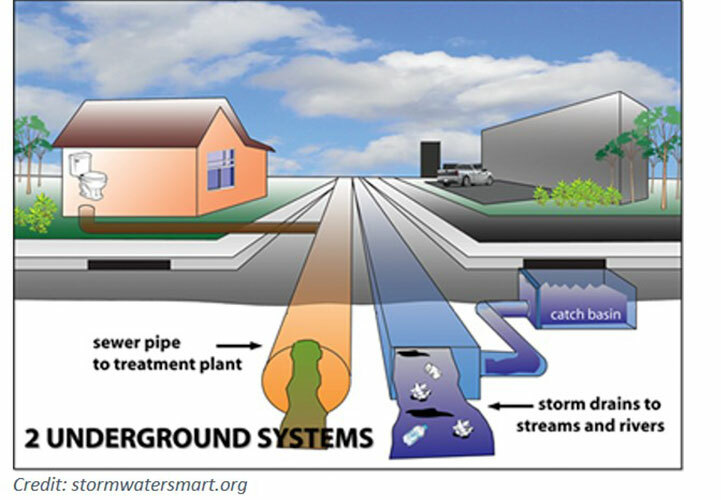 Storm drains are not connected to wastewater treatment facilities. ​Storm drains lead straight to our creeks and rivers. Nothing should ever be dumped down storm drains. Examples of illegal household dumping include: yard waste, motor oil, leftover paint, and swimming pool water. Dumping these and other pollutants into storm drains can cause severe problems in our waterways. The drain is just for rain. Storm drains do not lead to wastewater treatment facilities. They lead directly to the nearest stream or body of water. 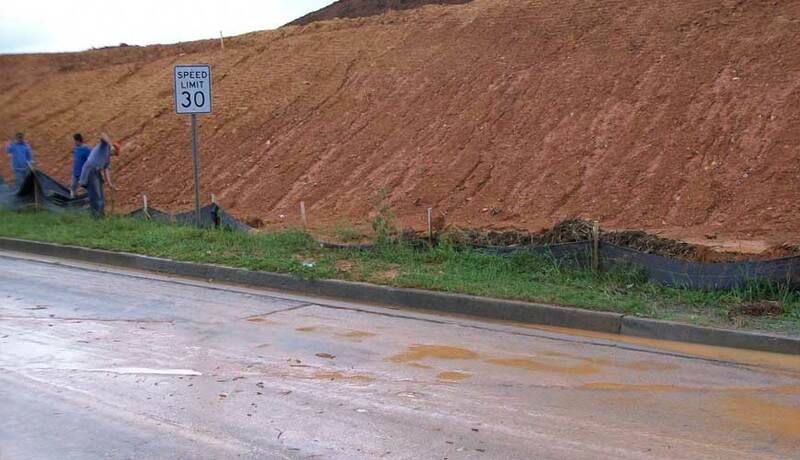 Developers are required to control stormwater runoff from construction sites. Silt fences must be placed and well maintained to keep dirt from going down the drain.